The S802 was originally designed as a near field monitor for medium to large control rooms with listening position from 0,6 to 3m. However in many studios with smaller control room (up to 75m3) it can be used as the main monitor thanks to its extended response and high output. With a frequency response from 40Hz to 20kHz, and a maximum output in excess of 120dB SPL at 1.25m, the S802 is truly exceptiona and has set a new standard for midfield monitors. S802 offers the ultimate accuracy for studio monitoring, low distortion, high sensitivity, linear accuracy at all power levels, wide bandwidth and high power handling for the most demanding dynamic material. The symmetrical design of S802 eliminates the need for different left and right speakers, improves the stereo image and eliminates HF & Mid frequency diffraction irregularities. The design also makes it an ideal choice for multi channel set-up i.e. 5:1 surround. The trademark of S802 is the uncoloured vocal midrange, the high output and the revealing and immediate response of the slightest touch on your mix. In order to take full advantage of the S802, the dynamics capabilities, wide bandwidth, correct tonal balance and high resolution, we recommend no less than a 600w power amplifier. 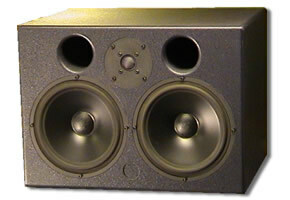 Se our list of Snake Speakers certified amplifier. As in all Snake Speakers, the components used in S802 are individually tested before assembly, crossover components, speaker drivers as well a the cabinet. On top of this an extensive final test is performed. The whole production chain from crossover assembly, wooden cabinet to final assembly and test are performed by some of the most experienced people in the industry.